The global economy relies on freight services to move goods from one side of the world to the other. The door-to-door freight delivery chain can be extremely complex as goods move across international borders using any combination of land, sea and air carriers. Freight forwarders play a critical role in organizing all of the required service providers into a single bid for the shipper. In our “on demand” digital world, shippers expect these complex quotes to be ready in very short timeframes. The reality, however, is that it can take many hours – and sometimes days – for a freight forwarder to prepare a door-to-door, multimodal bid. 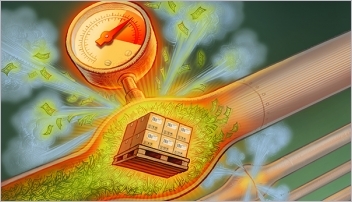 In many cases fees and tariffs are not standardized or are highly dynamic and the freight forwarder must be in contact with numerous entities across multiple time zones. If the route involves less travelled trade lanes it can get even more complicated. In a where 40 freight forwarders were asked to provide a door-to-door multimodal quote, of the 40% who were able to provide such a quote only 6% answered in the same day, 9% answered the following day, another 6% took 7 days and close to 20% took at least two weeks to answer. With shippers seeking ever faster and cheaper delivery services and transportation being regarded more and more as a commodity, freight forwarders who want to retain a competitive edge must dramatically optimize their quotation processes and improve the customer experience. We live in a world of big data and the freight industry is no different. Many freight forwarders use enterprise grade TMS and RMS systems to track and manage huge volumes of rate and tariff data to support their bid preparation processes. The quality of that data – and the way it’s used -- will have a significant impact on the quality of their bids. First and foremost, for a freight quote to be competitive the data it is based on has to be realtime. 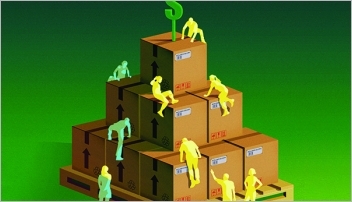 If the freight delivery chain includes ocean segments, for example, price structures are highly complex and tariffs dynamic. On volatile routes, such as , the quote should ideally be based on tariffs that are between two days and one week old. And even on more stable trade lanes, such as US-Europe, pricing data changes rapidly and tariff rates older than 10 days will not be reliable. Second, freight data tends to be highly fragmented and siloed, which is particularly problematic for complex, door-to-door quotes. In addition to land, sea and air carrier rates and tariffs, a door-to-door quote will include many value-added services such as custom brokers, port handlers, warehousing services and more. Up-to-date terms and conditions for each of these services must be factored carefully into the freight forwarder’s cost structure and reflected in the quote. 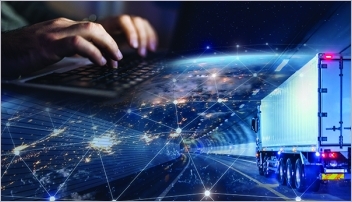 For freight pricing and routing data to be actionable, therefore, it should be based on automated streams from all relevant data sources – all feeding into a common data model that becomes a single source of truth for the freight forwarder. Assuming that the freight forwarder has solved the realtime, diverse big data challenge, it will still be difficult – if not impossible -- to extract business value from it without the assistance of advanced data technologies. A typical door-to-door freight forwarding bid can involve hundreds of processes carried out by ten or more service providers. The number of “moving parts” is mind-boggling and a change in a single key variable could require recalculating the entire quote. And this recalculation may have to be carried out several times in order to generate a timely route- and price-optimized quote that will win the business. 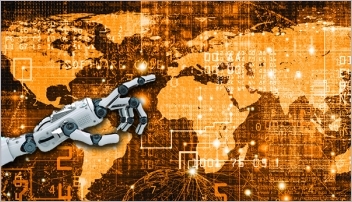 No matter how experienced and expert the freight forwarder, no human being can match the power of freight-oriented artificial intelligence and machine learning algorithms in a dynamic, adaptive freight pricing process. Stargo is a smart, cloud-based platform that was developed by experienced freight industry experts to provide automated, optimized door-to-door multimodal freight quotes. Stargo addresses the big data challenge by interfacing with the enterprise systems of freight forwarders, carriers and other freight service providers to access historical and current routing and pricing data in realtime. Stargo also autonomously collects data from other relevant sources and adds that into the freight quoting mix as well. Stargo’s domain-optimized artificial intelligence algorithms then analyze these millions of data points into a clear and reliable win pricing benchmark range. Stargo incorporates proprietary machine learning algorithms to automatically handle the entire end-to-end bidding process, making sure that each leg upholds the win pricing model. Stargo quickly generates five freight quotes, each one optimized for a different criterion such as price, transit time, carrier quality and so on. Within minutes after receiving the request and inputting the basic shipping details, the freight forwarder sales executive can present the shipper with five competitive quotes and the customer can decide which one is optimal for that particular shipping task. Stargo brings together the best of both worlds – the speed and reliability of data-centric quotes with rapid, personalized customer service. And once the business has been won, Stargo, in partnership with Mastercard, continues to support the freight forwarder by offering guaranteed payments that reduce financial risk and enhance cashflow. At Stargo we believe that the sky is the limit in terms of where cloud-based, data-centric technologies can take freight forwarding. To learn more about how we are revolutionizing the freight industry, visit or contact us at [ protected].